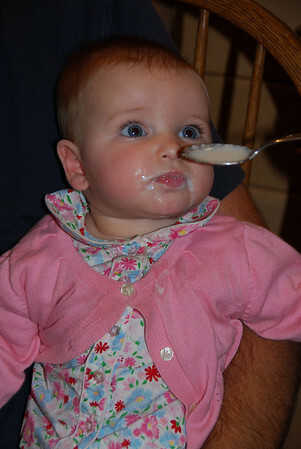 Kenzie received her first taste of solids at 6 months. She's a fan. She had no problems getting those first bites down and quickly thickened it up a bit. She is now on to pureed fruit.